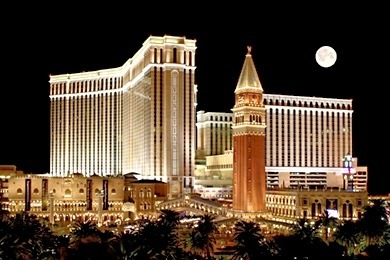 Please join us LIVE on Twitter from Las vegas at the Venetian / Palazzo Resort on New Years Eve 23 floors above the Las vegas Strip as we would love to ring in 2012 will all of you ! Cheers and we will see you in 2012 . Welcome, All! This is the first of many pieces that I will have the pleasure to contribute to Cuisineist.com regarding everything Mixology. As there are many pressing and exciting topics that I am so passionate about and eager to discuss, I actually find myself struggling to select just one theme. So, since we have all just celebrated the 78th Anniversary of Repeal Day- you know, the day where it became legal to once again manufacture, distribute and, oh, yes… consume alcohol! It’s only fitting that we discuss….. And, believe me, I celebrated like it was 1999 (all over again)! Prohibition or as it became known as “The Noble Experiment” took effect on January 17, 1920 when the 18th Amendment was ratified one year earlier on January 16 by Congress completely banning the manufacturing, sales and consumption of all alcohol in the United States. What many people do not realize is that this act was in the works for well over a century, but only took effect in certain states and counties at a time, but never unanimously or simultaneously. It was a desperate motion by this nation’s Conservative groups and parties (The Feminist Movement, Methodist church, legislature, the Anti-Saloon League, etc.) who was out to prove that alcohol was responsible for this country’s ongoing social disorder and sharp decline. If our founding fathers, many of whom, were beer craftsmen and alcohol distillers, themselves, were only alive to see this come to fruition…. Instead of actually bettering the situation, Prohibition fueled the rapid rise of organized crime, speakeasies, bootleggers, record numbers of illegal distilleries and production of very poor quality moonshine and “bathtub” spirits. It was truly a very low point in our industry’s history, not to mention the ensuing Great Depression a few years later. There were a handful of distilleries still permitted by the government to continue the production of whisky and brandy for “medicinal purposes” as well as some wineries which produced kosher wine or church wine. It wasn’t until December 5, 1933 that the 21st Amendment was ratified which repealed the 18th Amendment and ended Prohibition. Although we celebrate Repeal Day on December 5th, alcohol consumption was not permitted legally until December 15th. The popularity of Mixology has been noted by some to have been widely stimulated beginning in the early 1860’s when a pioneer in the industry named Jerry Thomas published the very first bar book entitled The Bartender’s Guide in 1862. Soon, several others took follow publishing many types of bar books, but none of the sort that we see today. With this said, the turn of the 20th century saw much promise and growth and this would be the very first Golden Age of cocktail culture. The trends back during this period seemed somewhat different, but in some aspects, very similar from what they are today. From 1860-1918 there were already dozens of “cocktails” (drinks, more appropriately so) in existence, most of them, published. The rise of the Manahttan, Martini, Sazerac, Mint Julep, and many, many more experienced much popularity during this time and through the turn of the 20th century even though cocktails like the Mojito, Mint Julep and Sazerac had been invented decades earlier. Then you would have other unique creations like the Monkey Gland, Bronx cocktail, Clover Club, Last Word, Corpse Reviver No. 2, etc. that were developed years later and that saw their heyday, but were permanently defunct in this country and spent half a century (plus) dormant before being very slowly resurrected towards the later part of the 20th century and just now enjoying a strong resurgence. However, one of the mainstream trends was deciphering the different categories of drinks. Let’s see…..There were bucks, cobblers, juleps, flips, highballs, fizzes, slings, daisies, collins, sours and punches, all dictated by what specific ingredients it utilized and by whatever glassware and means it was served in. For example, a Martini is a specific type of drink consisting of London dry gin, dry vermouth and orange bitters that was typically stirred over ice and served chilled and straight up in a coupe or martini shaped glass (smaller than what we normally serve in today). Nowadays, we call everything a martini that is served straight up in any contemporary shaped martini glass. This craft was taken very seriously, indeed, and to an extent, the consumer was also very passionate and intuitive to what they were drinking. After all, it would not be an uncommon practice for a patron to specifically request what ratio of main spirit to vermouth they would like in either their Manhattan or Martini. And, speaking of vermouth, since when did everyone develop such a tremendous allergy to vermouth? It’s right up there with shellfish, dairy, pollen and hay weed, I gather, since the majority of people do not want any vermouth at all to very little in their Martini, but they look at you in disgust when you even make the mere suggestion. Once Prohibition took place, the most serious of cocktailians and bartenders left this “dry” and barron wasteland and chose to further extend their illustrious careers in locations such as England, France, Cuba, Italy, Australia, Peru, Japan, etc. where mixology had not quite peaked, but welcomed this movement with open arms and an open mind. Sadly, I think to myself over and over what if…. What if, these dark times never came to pass? How different (or wonderful) would things actually be today? What would today’s trends be? Sinfully, I wonder if vodka would have ever even experienced the ghastly and exponential growth that it has over the past 25 years. One could only wish, right? We are very fortunate to be a part of these modern times. But, we paid the price for many years. Our predecessors never quite had the access of ingredients that we do majorly due to the availability of infinite ingredients at our disposal, arguably, a much bigger desire and consumer demand to create new flavors and products, the internet and speedy and much more efficient shipping methods. Spirits such as Swedish Punch, Amer Picon (still unavailable but Torani produces a very good variation) Batavia Arrack, Parfait Amour (including Crème de Yvette and Violette) and even Chartresue that had been extinct or difficult to obtain in this country for several decades have enjoyed a very happy return to many of us that welcomed them with such warm embraces. The Beatles had a song called The Long and Winding Road and that is what it literally feels like to reach the point that we have gotten to, today. Fortunately, more and more of today’s bar and industry professionals are becoming enamored with the ways of the past, including its cocktails, products, styles and methods which are contributing to the strong resurgence of this trend along with the very big modern mixology movement. What happened from 1933 through today is a different story for a different day that I will be writing about in the near future. For now, let’s raise a glass to the Second Golden Age of our Cocktail Culture and the many wonderful things to come. Combining tradition and elegance, The Old Homestead Steakhouse has been serving he finest cuts of beef in New York City for over a century and now in Las Vegas . 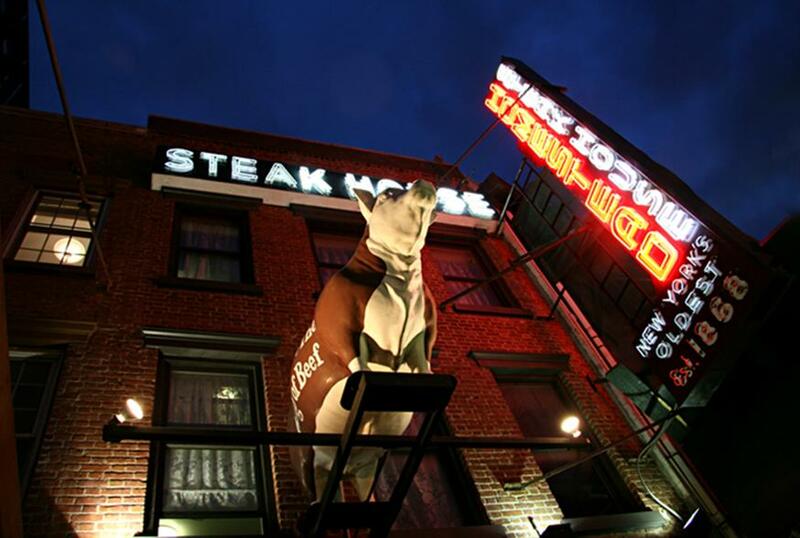 Perfect for celebrating special occasions, birthdays, private events or just a night on the town, The Old Homestead Steakhouse is the perfect place to enjoy the best steak Manhattan has to offer. Annabelle, the celebrity cow perched two stories above the entrance of the legendary Old Homestead Steakhouse in Manhattan is coming to Las Vegas. She will arrive in Las Vegas on Dec. 20, in time for the grand opening of Old Homestead Steakhouse at Caesars Palace. Annabelle’s admirers are encouraged to follow her journey to Las Vegas at www.twitter.com/oldhomesteadlv and stay tuned for more details upon her arrival. Fans of Annabelle should not be concerned, as the iconic brown and white cow isn’t being put out to pasture. Dressed in white butcher coats and wearing white gloves, a team specializing in bovine transport will gently remove Annabelle from the restaurant’s Broadway-like marquee, where she has been perched for the past 60 years as a fixture in the center of New York City’s fashionable Meatpacking District. Before setting her into – or more likely, onto – a super-stretch luxury limo. Taking full advantage of the limo, Annabelle plans to ride around Midtown before heading to the airport. She intends to visit several major U.S. landmarks and graze through a few malls for some holiday shopping on her way to Las Vegas. One of the emotional highlights of her trip will be an overnight stay at the Nebraska farm where she was born and raised. Annabelle is no stranger to the spotlight, having been featured in several motion pictures and on hit shows such as “Seinfeld” and “The Sopranos.” She has also been photographed by renowned artist and filmmaker Julian Schnabel, whose photos are displayed in the restaurant’s Schnabel Room. Old Homestead Steakhouse is one of New York City’s most historic restaurants, set to open its first location on the west coast at Caesars Palace. With more than 6,000 square-feet, the new restaurant will feature a total of 250 seats with a full dining room, private dining room, lounge and bar. Guests will be introduced to several signature dishes from the classic New York City menu including the popular colossal crab cake, 32-ounce Gotham rib-eye steak and the Old Homestead New York-style cheesecake. Additionally, new menu items will be created exclusive to the Las Vegas location. 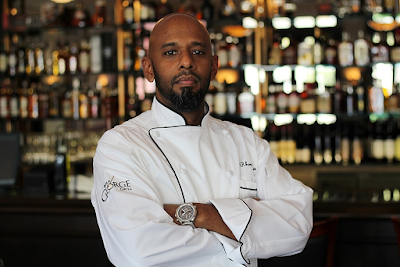 Las Vegas gets yet another culinary star ! Molino Sant’Antimo is the family estate of Carlo Vittori, formerly from the prestigious Montalcino estates of Val di Suga and Castello Romitorio. Located in the south-eastern corner of the Montalcino appellation, Molino Sant’Antimo Estate is dedicated to produceing Brunello di Montalcino, Rosso di Montalcino, Sant’Antimo Rosso and Chianti Colli Senesi DOCG , for an annual production up to 80.000 bottles. The Brunello and Rosso di Montalcino are fruitier and smoother than what we would expect if compared to other Estates in the region.In addition to the Montalcino appellations, Molino Sant’Antimo produces also Chianti Colli Senesi, Morellino di Scansano and a Toscana IGT SuperTuscan . The first wine that we took a look at was the PAOLVS Molino Sant'Antimo Rosso di Montalcino DOC 2007. A very well balanced Sangiovese Grosso from Toscana that was a pleasure to experience. In the glass the wine was deep ruby in color and medium bodied. On the nose, aromas of Cherry and red fruit and fresh red flowers give way to a soft and rich flavors on the palate with a long finish. 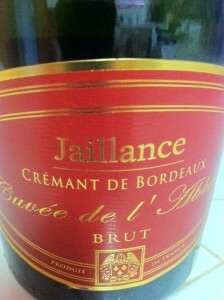 At SRP $17.76 , this is a good quality wine at a great price point. It is certainly drinkable now but can be aged 3 years to bring out some of its feminine qualities. The PAOLVS Molino Sant'Antimo Morellino di Scansano DOC 2009 was the next step in our visit to Molino Sant’Antimo. A Sangiovese DOC is always nice to explore. This Sangiovese was young but showed a lot of potential. This wine comes from vineyards located at the bottom of hills near the Etruscan village of “Ghiaccioforte” near Maremma and is a blend of 85% Sangiovese and 15% Petit Verdot and Syrah. In the glass this lovely wine showed ruby to purple in color and medium bodied. On the nose aromas of fresh red fruit and plum jump out of the glass. The palate explodes in your mouth with bright red fruit and mellows to a well rounded finish with light tannins. SRP$ 14.80. Getting a nice Sangiovese DOC at a very affordable price point makes this wine a good find. Moving on from a DOC to a DOCG the PAOLVS Molino Sant'Antimo Brunello di Montalcino DOCG 2005, got our palates excited. 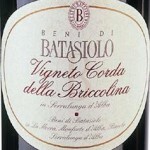 This DOCG was the finest expression of the fine wines produced by this lovely estate. This 100% Sangiovese with its fine wine pedigree from Brunello di Montalcino was true to its heritage of a very fine wine from the area. The grapes were carefully selected and aged for three years in oak vats and six months in the bottle. In the glass this fine wine showed deep ruby in color and medium bodied. On the nose, soft red fruit aromas flow into earth, smoke and plum on the palate with a long lingering finish with medium tannins. SRP $38.48 and well worth the price. This wine is drinkable now with the 2005 Vintage being renowned worldwide; however this Brunello could easily be cellared 8-10 years if taken care of. The 2005 was amazing and we moved to the following vintage. The PAOLVS Molino Sant'Antimo Brunello di Montalcino 2006just like the 2005 is a true expression of the region. It was also aged three years in oak vats and bottle aged 6 months. Deep Ruby in color and moving on to aromas of soft red fruit and confirmed on the palate with additional flavors of plum , smoke and tobacco with some light spice and soft tannins on the finish. This wine was simply amazing. The SRP $42.92 is appropriate but may be difficult to find but well worth the hunt. 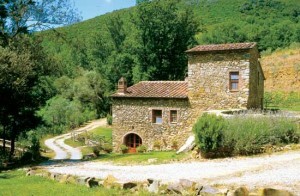 Molino Sant’Antimo Estates is a great example of what is exciting about the world of wine. A small family Estate such as this one, making a variety of good quality wines that are affordable, can make big waves all over the world because they do it right. We plan to keep an eye on this Estate and look forward to vintages to come. Natalie MacLean is an award winning wine writer and needs no introduction. 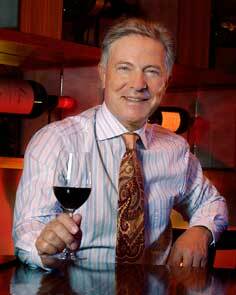 There are many wine books out there that “tell” what you should drink. Many these “writers” or “critics” have never even worked a harvest or done a punch down. Natalie has done it all and traveled the world. In her latest book Unquenchable, she goes on a wine journey and takes her readers with her using her palate and writing ability. She introduces readers to the Mosel valley and even takes us up in a helicopter for a bird’s eye view of some of the most beautiful wine regions in the world, the Niagara Peninsula. No matter where she may be in the world, you can be assured that she will find a great wine that is affordable to share with us. The most intriguing and impressive aspect of Unquenchable is that it is not just about wine but about the history and culture of area’s food and people. 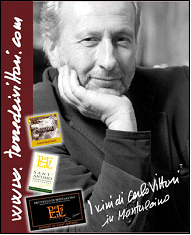 She teaches readers that all of these are important and can be tasted in very glass of wine from a particular region. Her latest work of genius is available not just in hardcover but available to read at your leisure over a glass of wine on your tablet or reader. 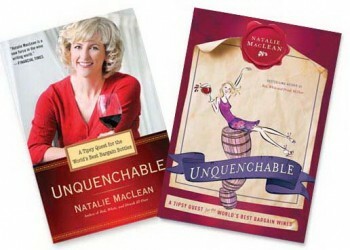 Run, don’t walk to your bookstore or go Online to Amazon.com and get your copy of Natalie MacLean’s Unquenchable today, break open a bottle of good wine and enjoy. The Creation of cocktails has grown into an art, using fruits, vegetables and other flavors with the same precision that they are used in the kitchen by Chefs. Mixologists rely on seasonal ingredients and their cocktails are frequently commissioned for special events, menus and themes. It is no secret that Las Vegas is home to many of the world’s greatest Chefs but it is also the home of renowned Mixologists as well. One of them can be found at The Palazzo Resort’s FUSION Mixology Bar making amazing one of kind cocktails to order. VLV: Wendy, how long have you been a Mixologist ? VLV: Many people think that a Mixologist and a Bartender are the same thing. What is the difference? WVH: Passion! It’s like comparing Cognac and Brandy. Cognac can only come from the Cognac Region in France. All Cognacs are Brandy but not all Brandy’s are Cognacs. In other words, All mixologists are bartenders, but not all bartenders are mixologists. For myself as a mixologist , it is a lifestyle and a living . We have knowledge of all spirits and classic cocktails and handcraft new cocktails as well. VLV: How does it work when you're approached to make a new Cocktail? WVH: It all depends on what they are looking for in the Signature Cocktail. Sometimes they give me a specific theme like “Winter In Venice” and I take it from there. Other times all I am given a specific Spirit that they want to feature and then I get to play. VLV: Mixologist are true artists and all artists get their Inspiration in different ways. Let’s talk about the Winter In Venice Cocktails and how you came up with them. What was your inspiration for these very special creations? WVH : Sometimes I come up with an idea and “ magic” hits the first time .Other times it may take 3 or 4 times before I am happy with it. I also get inspiration in dreams and I wake up and write it down the idea. The Inspiration was obviously winter and Christmas. When I created the CAMPANILE CIDER I wanted to use Frangelico because it reminded me of winter, a warm fireplace and cider! WVH: The RIALTO EGGNOG was not the original name I had for the cocktail but it was my take on a Brandy Eggnog . We also featured some classic cocktails as well. VLV: You have always done well in Mixology Competitions. Do you have any coming up? WVH : I am always looking at what competitions are around . But I look for the right completion for me that will show off my passion for Mixology . I prefer the competitions ions that showcase the best talent and is not a popularity contest but based on skills and on my day off !!!! VLV : Please tell be about you and the Pisco Championship. WVH : It was a very big deal and I was flown to Peru after I was first in Las Vegas. I finished 2nd in The Nation and the Peruvian Government made us Pisco Ambassadors to the USA and gave us Chef coats and everything ! It was a very big deal down there with paparazzi and everything. We were treated like celebrities. WVH: I was driving into work today and Duke Ellington’s Sugar Rum Cherry came on my satellite radio. Its was cool, Jazzy and had some blues. I said to myself. This has to be done !! My mind started working and the first thing I thought of was Sugar plum fairy. I made the cocktail for you and here is the recipe! VLV: Lastly, you are an expert in your field. I would really like to know what YOU order when you are out for a cocktail. 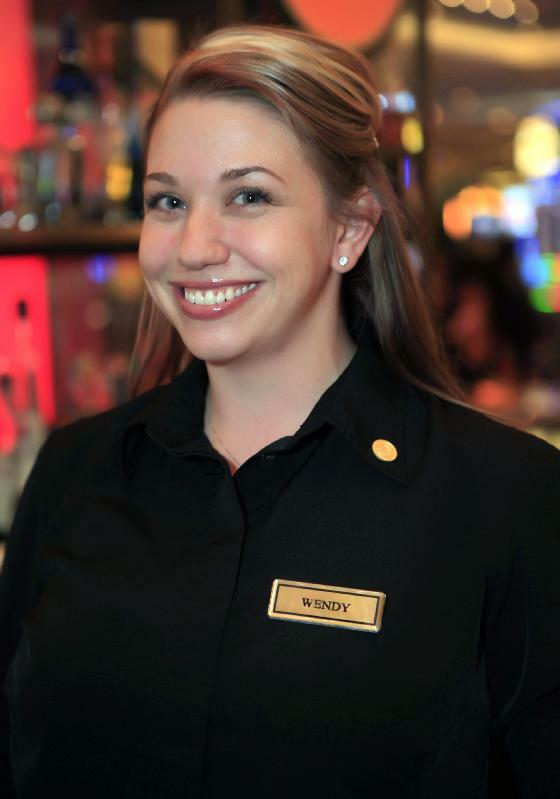 Wendy is one of the best Mixologists in The United States. When In Las Vegas it is well worth a trip to The Palazzo / Venetian Resorts and visit FUSION Mixology Bar for a cocktail made just for you ! This year's SAVOR The Central Coast attracted thousands of attendees, including scores of out-of-town food and wine lovers. The four-day destination food and wine event showcased the beauty and bounty of San Luis Obispo County, included a host of sold-out gala events, cooking demonstrations, celebrity chef appearances, gardening seminars, adventure tours to local outdoor hot spots, farm tours, and wine tasting excursions. 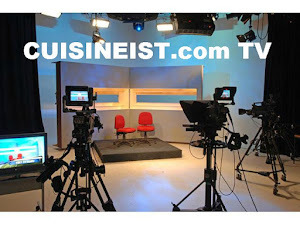 Event managers claim the 2011 event an overwhelming success. From Thursday to Sunday, San Luis Obispo County welcomed visitors from as far away as Florida to South Carolina and throughout California to enjoy the region’s authentic, rural lifestyle. Thousands of guests enjoyed the SAVOR experience kicking off at a magical Hearst Castle event to a gala awards celebration at the Pismo Pier honoring Sunset’s Western Wine Award winners to special dinners at the San Luis Obispo Mission and Paso Robles City Park to the Margarita Ranch where guests enjoyed meeting the farmers, winemakers, local chefs and Sunset’s editors. Currently a third-party contractor is evaluating a full recap of attendees, event revenue and economic impact to San Luis Obispo County. “Most SAVOR happenings were sold-out before the event kicked off. Only in its second year, this is clearly a celebration in demand. The Central Coast should be extremely proud,” added Jacob. “We would like to extend a heartfelt thanks to all hotel partners who assisted in hosting media and VIP guests and our 2011 sponsors,” said Jacob. 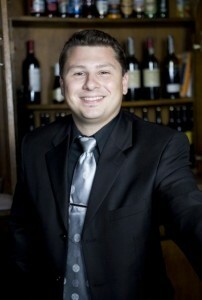 We look forward to SAVOR The Central Coast 2012 ! 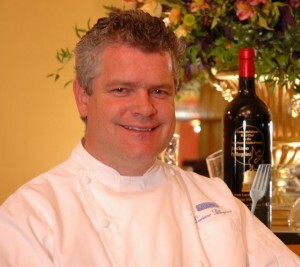 There can be no better way to spend an evening than with Multiple James Beard Awarding Winner Chef Luciano Pellegrini and Renowned Restaurateur Piero Selvaggio as you dine on White Truffles and sip amazing wines from Beni di Batasiolo . 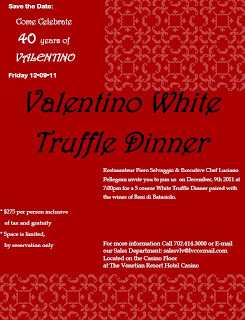 On December 9th 2011 there is NO place one should be except at Valentino in the Venetian / Palazzo Resorts in Las Vegas. This will be an evening that will be remembered for a lifetime. Valentino Las Vegas will host an extraordinary night of white truffles and wine featuring the wines of Beni di Batasiolo and the cuisine of James Beard Award-winning Chef Luciano Pellegrini. 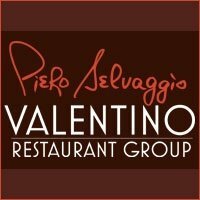 This sublime tasting is the final evening of a three-night white truffle extravaganza hosted by renowned restaurateur Piero Selvaggio and Chef Pellegrini, with tastings taking place at Valentino Houston on Dec. 7 and Valentino Santa Monica on Dec.8. Join us Friday, Dec. 9 at 7pm. 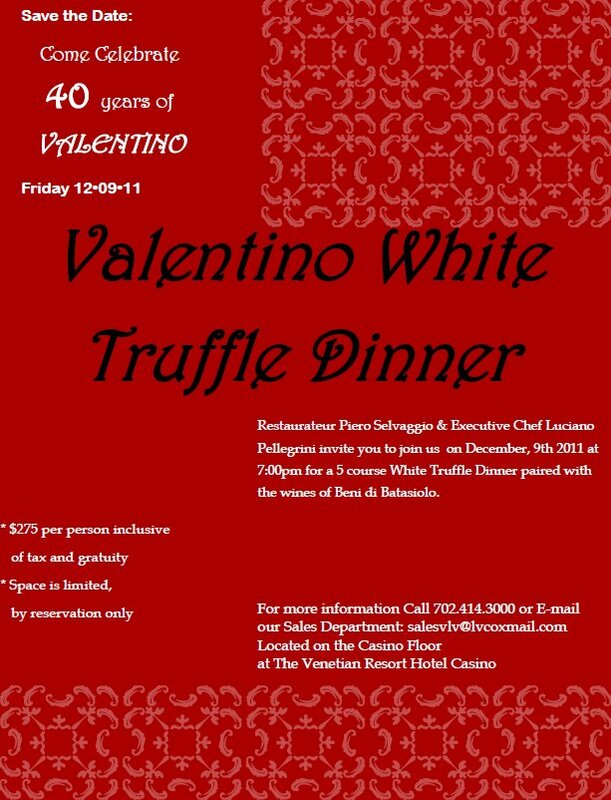 As this is a limited seating engagement, reservations are required and can be made by calling (702) 414-3000. Dinner price is $275 per person inclusive of tax and gratuity. 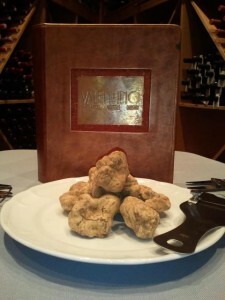 Please reference the White Truffle dinner when booking your reservation. Its that time of year again , its BEAUJOLAIS NOUVEAU As part of the national celebration Nouveau Expression, French Beaujolais winemaker and longtime arts supporter Georges Duboeuf is bringing a party of the senses to Las Vegas at a Nouveau Expression food and wine tasting on Friday, November 18 at the newly opened Butterfly in the Chateau Nightclub & Gardens at the Paris Las Vegas Hotel & Casino, from 10 p.m. to 4 a.m. Presented by Georges Duboeuf, the party will include: sweets from Paris’ Sugar Factory, a custom designed wine bottle-shaped cake for guests to enjoy and a celebratory midnight toast with the highly anticipated 2011 Georges Duboeuf Beaujolais Nouveau. Admission is $30 upon entry and includes a complimentary glass of Beaujolais Nouveau for the midnight toast. The 2011 vintage will also be available at Chateau Nightclub and Mon Ami Gabi at Paris Las Vegas during its debut weekend (November 19-20). The event also celebrates the first taste of the 2011 vintage as it coincides with the arrival of the 2011 Georges Duboeuf Beaujolais Nouveau, a fresh and fruity red wine made from the local Gamay grape that is released after midnight annually on the third Thursday in November. The 2011 Georges Duboeuf Beaujolais Nouveau, with a first-ever graffiti-inspired label designed by renowned Brooklyn artist “Kaves,” will be available nationwide at a retail price of $10. Nouveau is a very popular wine for serving during the holidays; its ripe berry aromas and flavors are food-friendly and versatile with many dishes. Date and Time: November 18, 2011, 10 p.m.-4 a.m. It does not need to be a special occasion to enjoy Champagne or Sparking Wine. They are meant to be enjoyed all year around, however many choose to enjoy these great wines more often over the holiday season. There is no mistaking good Champagne but France also has many great Sparking wines as well. 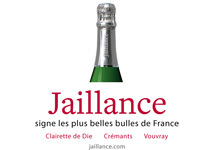 Jaillance is the number one best selling Sparkling Wine in France so what a better choice than to enjoy a nice high quality Sparkling Wine. 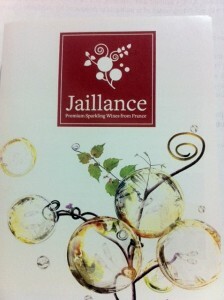 All Jaillance wines are designated Protected Designation of Origin (PDO), Appellation d’Origine Protégée (AOP) in French. There are a several regions in France outside the Champagne area which produce sparkling PDO wines, and which adhere to a strict set of regulations to ensure excellent quality. Requirements include harvesting by hand, the use of grapes from within the Appellation area only, and of course traditional methods of winemaking. The PDO is a Europe-wide certification system which guarantees the origin of certain products from a specific terroir, and preserves the products' history and traditions..
We started off tasting this lovely Sparkling wine from Die in the Rhone Valley. This was is a nice blend of 90% Muscat Blanc and 10% Clairette Blanche that should please any palate. The Clairette de Die thrives in the sunny conditions of the Drome me Valley, sheltered by the foothills of the Vercors, where it has been established as an Appellation d'Origine Controle since 1942. The vineyard is made up of chalky clay soil in small plots, rising to 700m above sea level. In the glass this pale gold sparkling wine shined with fine bubbles rising through to the top. Aromas of citrus and tea leaves move into flavors of oranges and white flowers for a balanced palate that was refreshing. The low alcohol level of 7% makes this an easy drinking wine that can please you any time of day.
. The nose had surprising yet pleasing aromas of Almonds, White flowers and some strawberry notes as well. The Palate has soft flavors of the Almonds, White Flowers and Strawberry carried over from the nose with a light creamy finish. 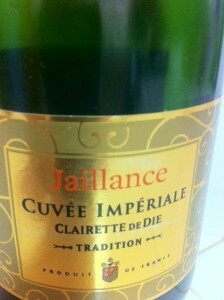 The 12% Alcohol content gives this Sparkling enough body to stand up to many types of dishes from shellfish to chicken. Winemaker Arnaud Van de Voorde has done a magnificent job producing these palate pleasing Sparkling wines. Jaillance is sold in over 14 countries and shows their commitment to sustainability by using organic growing methods that currently account for 12% of the Vineyards and expect to exceed 20% over the coming 5 years. Both of these Sparkling Wines provide a nice alternative to Champagne and are affordable at $18.99 (Suggested Retail Price). No matter what time of year you choose to enjoy these special French Sparkling Wines we are sure you will be pleased.